The Federation of Pakistan Chambers of Commerce and Industry (FPCCI) has lauded the government for its budget measures to uplift the agriculture sector of the country. 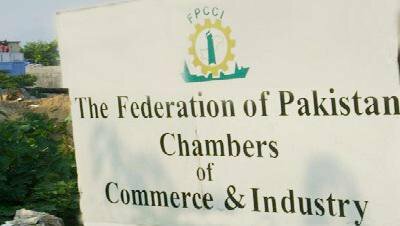 Addressing a press conference, FPCCI President Abdur Rauf Alam said that a special heed has been given to the agriculture sector as the government has reduced the prices of urea and diammonium phosphate fertilisers. The prices of fertilisers now match with that of India, he said. He said that the agriculture loan target of Rs 700 billion, coupled with two per cent reduction in mark-up, will support the dwindling sector which comprises the gross domestic product by 0.5 per cent. He was of the view that the incentives announced for agriculture would certainly provide relief to the farming community. The FPCCI president lauded the government’s decision to pay refunds and demanded that the entire refunds must be paid during July and August. He announced unconditional support for the decision of the government to tighten noose against non-filers, broaden tax base and demanded reduced reliance on withholding agents. He said that duty reduction on around 2000 items would help reduce the cost of businesses. He lauded the decision to give tax exemption for setting up a new industry during the next three years and demanded zero duty and tax on import of plants and machinery. The FPCCI president appreciated abolishing duties on import of laptops and computers to curb smuggling and decision to reverse remaining concessionary SROs. The federation, however, criticised some sectors which according to it, have not been provided relief in the budget. He was of the view that the rise in salaries and pensions and the hike of Rs 1000 in minimum wage of workers was insufficient. He said that since the government has made five exports zero-rated, it must also include the largest export sector of rice in it and also pay heed towards small business and cottage sectors. Meanwhile, exporters, manufacturers and farmers hailed the federal budget 2016-17 as business and agri-friendly. The incentives announced in the budget would surely help in enhancing the export volume considerably and help reduce problems of the farmers’ community too, they said. Sialkot Chamber Of Commerce and Industry (SCCI) President Mansoor Ahmad said that declaring the industries of sports goods, surgical instruments, leather and textile garments zero-rated is a right step in a right direction. The steps taken by the government would surely help in the promotion of exports of the country, he said. The SCCI president also hailed the decision of clearance of pending sales tax claims in August and added that clearance of pending cases would be helpful in further enhancing the exports of the country. Pakistan Readymade Garments Manufacturers and Exporters Association (PRGMEA) Chief Coordinator Ijaz A Khokhar said the government declared five sectors zero-rated on the demands of the business community which would boost the national economy. Farmers, including Ahmed Din and Aslam, welcomed the budget and said that the incentives announced in the budget for the promotion of the agriculture sector in the country would enable growers to get their fruit. The relief announced by the government would help growers to enhance the capacity of yield per acre which ultimately would improve the economy of the country, they said. They appreciated the reduction in prices of fertilisers, pesticides and tariff of tube-well’s electricity.